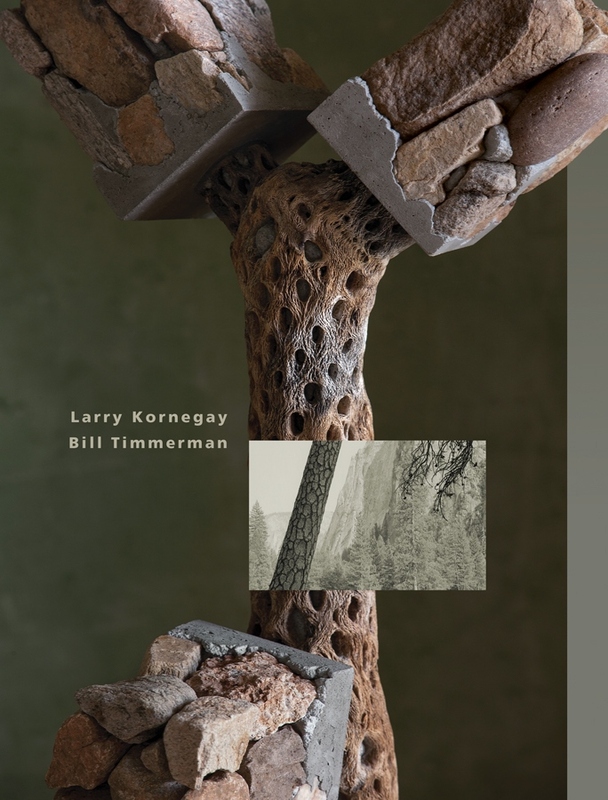 Twenty years ago photographer Bill Timmerman and sculptor Larry Kornegay forged an artistic and professional relationship born of a common affinity for the rawness of the desert, the built environment, and their immediate surroundings. Though their media are different, they each possess an appreciation of simplicity of form so that their works are highly complementary. Timmerman’s work is detached from any sense of chronology and invites the viewer to ponder his or her place in the world and in the passage of time. His black and white photographs are more apparition than narrative, as he adeptly uses light to describe form and emotion. Kornegay’s sculptures reflect his knowledge of working with a diversity of materials. He maintains a steady engagement with the tenets of art, playing with composition, form, texture, and color. He captures the visual integrity of familiar objects and reconfigures them as new forms filled with intricacy, spontaneity, and intrigue. The desert has worked on these two individuals since they were children; the long horizon, the smell of creosote, the earth exposed, and the observer will surely see these themes throughout the works exhibited here.